SEO Tips updated August 2014. 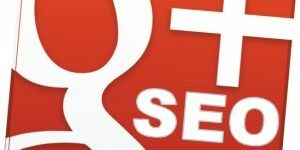 Here’s some real SEO Tips you can actually use to increase your websites search engine rankings in Google. No wishy washy, get backlinks (with no pointers how to achieve this) or obvious tips like build good content (what the heck is good content!) because content is king. These are all SEO facts NOT SEO myths. The anchor text of nofollow links count towards the Google ranking of the page the nofollow link is ON (this was an unexpected result when I tested this: see SEO test one of the comments). However, as expected it does NOT count towards the webpage you are linking to and does not pass PR/link benefit. SEO Tip Usage – You can link to relevant external sites and add the nofollow to the link and gain on page SEO benefit from the anchor text used without wasting link benefit/PR to the site you linked to. SEO Tip Blackhat Warning – I’ve not seen a webpage/site that uses nofollow excessively receive a penalty, but even so it’s something to take into account. It’s not a clean white SEO tip, it’s a little grey. Very Important SEO Update: Google no longer honors the rel=”nofollow” attribute like it used to. As of 2009 any links with a rel=”nofollow” attribute are deleting your link benefit/PR! Do not use nofollow to conserve PR or sculpt PageRank, it does NOT work. The title attribute (that’s title=”keywords here” normally associated with text links) does NOT count towards a pages Google rankings: title attribute SEO test. The alt attribute text, that’s (alt=”keywords here” normally associated with images/image links) does count: alt attribute SEO test (see section “Alt Attribute Text Test of Linked Images”). SEO Tip Usage – Makes no difference what you put in the title attribute, but try to be keyword rich in your alt attributes, meaning if a page is about SEO Tips try to use SEO Tips as alt text for an image. SEO Tip Blackhat Warning – Like any on page SEO technique, don’t go over the top with stuffing your alt attribute text with long keyword lists. Be descriptive about your images whilst covering your pages SERPs and you’ll be fine. The Google sandbox is not avoided by using an aged PR0 domain name. 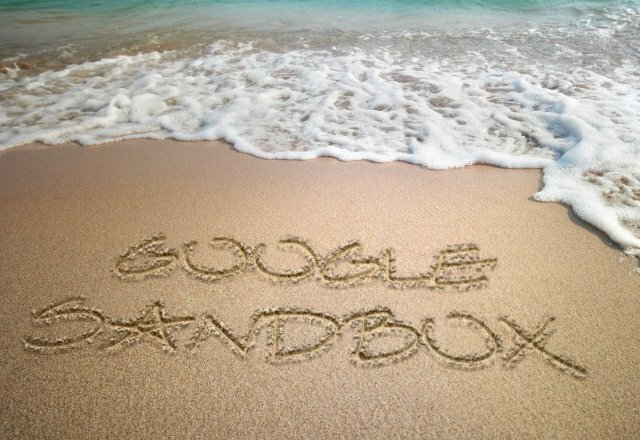 The sandbox is the effect caused by a lack of aged links and so adding links and maintaining them until aged (minimum 9 months old) is the way out of the “sandbox”: how long you are in the sandbox depends how good and how old your links are. SEO Tip Usage – Basically it’s add enough links and wait for them to count fully. Higher the PR a link is and longer it’s been live the better, if the anchor text is relevant as well, that’s icing on the cake. SEO Tip Blackhat Warning – With link building growth is slow at first, don’t be tempted to cut corners (link spamming for example) because it’s moving to slow for you. I tested adding 25,000 links to a new site almost over night, the home page hit PR7 first PR update, but it NEVER received any decent Google rankings (was penalized for sure). Be patient, remember the links you add today will not mature until 9+ long months from now (give them a year to be sure). 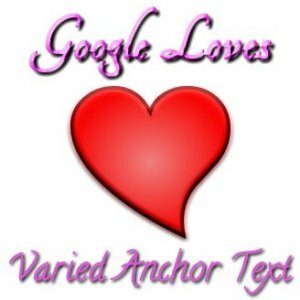 Anchor text of a spiderable link is not only important to the page you are linking to, but also to the page you are linking FROM. SEO Tip Usage – From an SEO perspective anchor text is considered more important than standard body text so use relevant (that means relevant to the SERPs you want for a page) anchor text a LOT. This webpage is about SEO tips, this link to WordPress SEO Tips (a webpage with more SEO tips) will help this pages SERPs and the I linked to. This 101 SEO Tips links will also help, there’s at least two links FROM this webpage using “SEO Tips” within the anchor text, that’s good on page SEO. SEO Tip Blackhat Warning – If you own multiple domains be careful with how you interlink them, it’s very easy (talking from personal experience here) to link way too many times from one site to another (the above links are on this domain, no limit to the number of internal links we can add). Try to avoid site wide links, not completely (one is OK to a domain), but don’t make the mistake of adding multiple links to the same domain in a site wide fashion. The contents of the title element (that’s the title a lot of webmasters call a title tag, it’s not a tag/attribute, it’s an element) is damn important, more important than any other on page factor so don’t waste it’s SEO value. Conversely the meta tags DO NOT count towards a pages rankings in Google, though the description meta tag can be used for the SERPs description so add something to increase CTR from a Google search. SEO Tip Usage – Spend a lot of time on your webpages title tags, (ideally targeting one main SERP per page) and a small amount of time on your meta description (think sales copy, sell your page) and forget about your meta keywords, don’t waste your time Google ignores it. 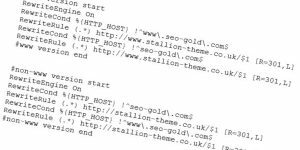 SEO Tip Blackhat Warning – It’s difficult to do anything blackhat with the title element and meta tags. That said if you make really spammy parts to your pages and a manual Google reviewer sees it, it’s not going to look good. There’s no benefit in spamming your meta tags, so don’t waste your time trying. You could make a really long title element, (Google counts a lot of characters, far more than it shows on a SERP) but every word you add to your title shares the benefit, add 100 words and each receives just 1/100th of the titles benefit!! So don’t spread this valuable SEO real estate too thin. ALL the above SEO tips have been thoroughly tested and confirmed by myself over the last 10+ years through countless SEO tests and observations of real world SEO examples. Does this post by Matt Cutts change things? as he is strongly recommending not to use nofollow, except for feeds. Do your templates take this into account? I read your blog as your insights are honest and clear. You have a tell it like it is style with regards to SEO tips. I read that nofollow had been changed months back, but didn’t believe it because it doesn’t make sense! The whole point of nofollow was to help webmasters link freely to sites they are not recommending, this could be a negative review about a site: a liberal political blog might link to the BNP’s site, but I assume most liberals won’t want the BNP to rank better for political SERPs! Seems wrong to penalize a site for using nofollow as intended! Also helpful to stop blog comment spamming, little point in spamming blogs for links if you gain no link benefit. Although the link to Matts page above (your comment) isn’t a SPAM link, because all WordPress installations out the box nofollow comment links, that means I’m loosing link benefit from this page by allowing comments! Apparently (I don’t believe everything Matt Cutts publishes, he works for Google and will have an agenda) now when we use nofollow it still passes no link benefit to the site linked to, but we loose the link benefit into some black hole! With regards my SEO WordPress themes, yes this is going to be an issue right now (June 2009), but I’ll be finding alternatives to rel=”nofollow” for future updates. RSS feed links and login links are nofollow. As Matt Cutts says in his article you don’t want RSS feed pages indexed with a lot of links, he might have added Google can handle them, but I’ve had SERPs ruined by RSS feeds being more SEO’d than the content the feed was based on so ideally we don’t want to add any link benefit to them as that can only make the matter worse! Thanks for the post David! Any SEO help is always appreciated. I would love to see more information on follow and nofollow back linking strategies. It seems like every SEO professional has a different opinion of how it works and how it will work in the future. Yet there is hardly any recent information on the subject.